Gallery 263 is happy to welcome Now Listen Here! a night of true stories told by local tellers. Now Listen Here! is kicking off a brand new series with a show themed “Here We Go”. The evening features storytellers with a wide range of stage experience, from first-time-tellers to local Moth Slam Champions. 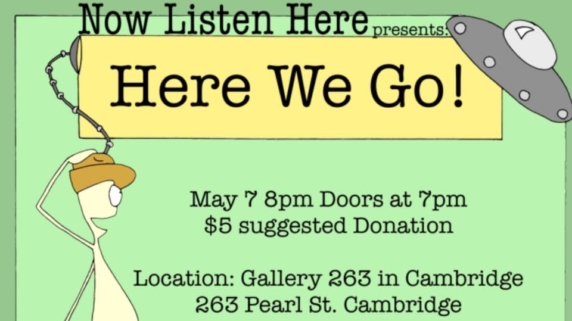 This is guaranteed to be a night of incredible stories of humanity, told in colorful detail in the intimate setting of Gallery 263. Join us! Have a drink and enjoy the show! We look forward to seeing you there!